Home > Barner Books > Amazing Stories September 1957. Ziff-Davis Publishing Company. PAPERBACK. B018WNH1WQ Softcover Amazing Stories magazine, September 1957, Volume 31, Number 9. Unmarked, with a shallow crease to spine and light wear to wraps, pages lightly toned, VG. In protective mylar sleeve. Top Quality Seller - Customer Service available. . Very Good. 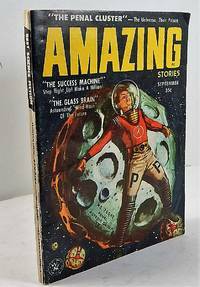 Title: Amazing Stories September 1957.